Donnie Jones becomes Stetson’s 22nd head coach in men’s basketball. In a twist of fate, Jones’ most recent boss, Dayton’s Anthony Grant, got his coaching start at Stetson in 1993. First, his alma mater, the Pikeville Bears, and the Marshall Thundering Herd. Then to the Florida Gators and the UCF Knights before a return to Marshall. Now, via brief stops with the National Basketball Association’s Los Angeles Clippers, the Wichita State Shockers and the Dayton Flyers, it’s on to lead the Hatters. 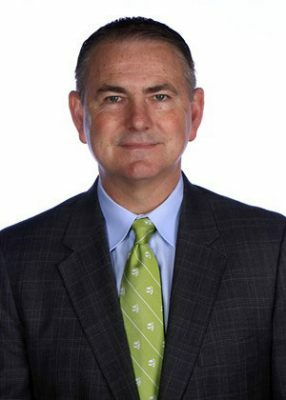 With more than 30 years in college basketball (and beyond), Donnie Jones has arrived at Stetson, becoming the 22nd head coach in the history of men’s basketball program. Jones was introduced at a campus press conference on Monday, April 1. He replaces Corey Williams, who spent six years as the head coach. Altier also talked about Jones’ core values aligning with the university, a viewpoint shared by Stetson President Wendy B. Libby, Ph.D.
Jones brings deep Florida roots. He was an assistant at UF for 11 years, helping the Gators win consecutive national titles in 2006 and 2007 with Billy Donovan at the helm. Earlier, Jones was with Donovan at Marshall, where he returned as head coach from 2007 to 2010. 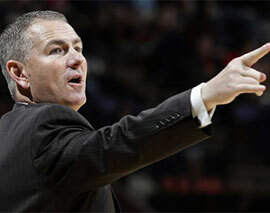 (Donovan now is head coach of the NBA’s Oklahoma City Thunder.) Jones then led UCF to 100 wins from 2010 to 2016 before working as an NBA scout and joining the coaching staffs at Wichita State and Dayton. Jones is regarded as top recruiter, helping the Gators recruit and sign 11 McDonald’s All-American and 12 eventual NBA draft selections. At Marshall, he signed and coached current Miami Heat center Hassan Whiteside. In a Dayton Daily News article, Jones described Stetson as an “incredible academic school, a small school, a great location outside of Orlando.” Notably, at Marshall, UF and Dayton, Jones worked with Anthony Grant, Dayton’s current head coach, who got his coaching start at Stetson in 1993. As Jones was introduced to the Stetson community, he spoke about his return to Florida and opportune timing. Jones concluded his introduction without a guarantee of success on the court, but with a look ahead toward enticing promise.